Spacing is a media partner of Canada’s first national conference on city parks, hosted by Park People, in 2017 in Calgary. Parks make our cities more livable and lovable. They are a critical element of our urban infrastructure, delivering benefits that far exceed their costs, but they are also the places where more and more of us celebrate milestones big and small, and make the connections with our neighbours that help us feel rooted in our communities. In cities across Canada, municipalities and communities are collaborating on projects that help realize the potential of city parks. Linear parks in cities including Vancouver and Calgary (and an epic cross-country trail on track for completion next year) are connecting communities and creating new routes for walkers and cyclists to enjoy nature and to commute. Repurposed urban infrastructure, from Montreal’s laneways to St Thomas’ rail bridges and Winnipeg’s former tree nurseries, are being transformed into (sorely needed) new park space. And nearly everywhere, from Ottawa to Whitehorse, community gardeners are using park space to grow food and strengthen communities. But in Toronto at least, our conversations about new ideas for park are dominated by examples from the United States and Europe. Cities like New York City and Copenhagen are our models, despite the wealth of park knowledge, expertise and experience that exists in Canada. The enthusiasm and devotion of urban Canadians to their parks is incredible, but it is not matched by a strong network of park people that extends between cities and even between neighbourhoods. Unlike in the United States and the United Kingdom, there are few opportunities for park enthusiasts to connect and learn from each other. This is particularly true when it comes to community groups, who are dedicated to making their parks better, but are often volunteer-driven and lacking the resources they need to fully realize their visions for their city parks. That’s why Park People is launching a new national network to connect and support community groups and city park champions across Canada. We believe that park groups, city parks staff, and other city park champions could benefit from a network of peers and partners. Both online and in person, we hope that the network will create connections that help great ideas spread more quickly across the country, and provide park champions with the resources and advice they need to get their projects off the ground. The network will be shaped by Canadians and will evolve to meet the needs of park people across the country. Ultimately, we hope that the network will help local groups build the case for community involvement and transformative investment in their parks, while also creating a strengthened, collective, national voice in support of city parks. 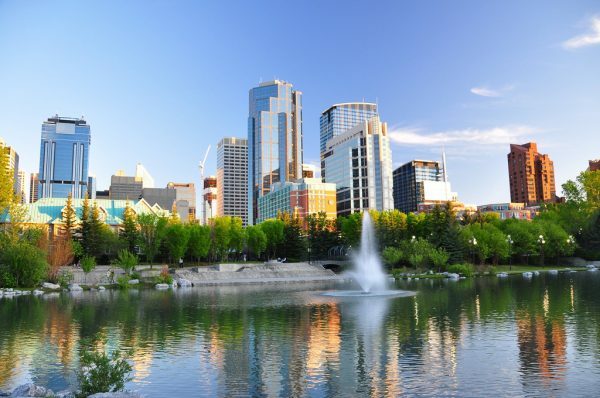 As a first step, park people from across the country are coming together to connect and learn from each other at the first ever national conference on city parks in Calgary in March 2017. Although there are many great connections that can be made online, we have learned through our annual Toronto Park Summit that the magic of a face-to-face gathering of park enthusiasts is hard to replicate. Applications are open to all, and bursaries are available to ensure cost is not a barrier for community groups and non-profit staff. Our city parks hold so much untapped potential to make our communities more resilient and inclusive. By creating a network that allows us to support and inspire each other, Canadians from coast to coast to coast will be able to realize that potential.